Check the Hong Kong Post Office holidays for the year 2019. Also check the working hours of the Hong Kong Post office. Check New Zealand Post Office holidays for the year 2019. NZ Post Delivers the post only on working days. New Zealand Post is closed on every Sunday and public holidays. Check Philippines Post Office (PHL Post) holidays for the year 2019. Check the Singapore Post Office holidays for the year 2019. Check 2019 post office holidays in South Africa. South African post office (SAPO) is open on Monday to Saturday. Check 2019 post office holidays in India. Find the holidays dates in India like Holi, Mahavir Jayanti, Good Friday, Buddha Purnima, Id-Ul-Fitr, Idu-Ul-Zuha, Dussehra, Muharram, Diwali, Gurunanak’s Birthday etc in 2019. Check List of Australia Post Office holidays for the year 2019. Australia Post is closed on each national public holiday and local holidays of each state. 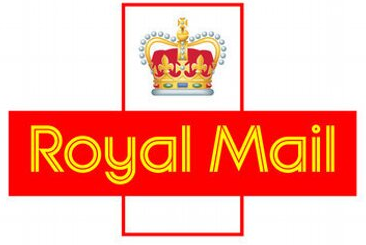 Check Royal Mail Post Office Holidays for the year 2019 in UK. Check 2019 post office holidays in Canada. Find 2019 Canada holidays date like New Year’s Day, Good Friday, Easter Monday, Victoria Day, Patriots’ National Day, Canada Day, Natal Day, New Brunswick Day, British Columbia Day, Heritage Day, Discovery Day, Labor Day, Thanksgiving Day, Remembrance Day, Christmas Day, Boxing Day. Check Malaysia Post Office holidays for the year 2019. Also check the working hours of the Malaysia Post office.